SY-FDPOS Found Location in Byte or Character String - 탐색(seacch 등)의 찾은 문자 위치 ex) data text(10) type 'ABCDEFGHI'. SEARCH text FOR 'C'. result sy-fdpos = 2. SY-TZONE Date and Time, Time Difference to UTC Reference Time - 일/시 ? SY-DAYST Daylight Saving Time Selection - ? SY-BATCH Program is running in the background - 'X' 프로그램이 백그라운드 작업에서 실행되고 있습니다. SY-BINPT Program Running Under Batch Input - 'X' 프로그램이 BDC로 실행중입니다. SY-CALLD ABAP program, ABAP program call mode - 'X' 다른프로그램에서 호출되에 사용되고 있습니다. SY-DATUM Current Date of Application Server - 오늘은? SY-UZEIT Current Time of Application Server - 지금 시간이...? SY-TVAR4 Text Variable for Placeholders in List Headers - 텍스트를 설정함. SY-TVAR5 Text Variable for Placeholders in List Headers - 3. 리스트 헤딩에 설정한 값이 출력될 것임. 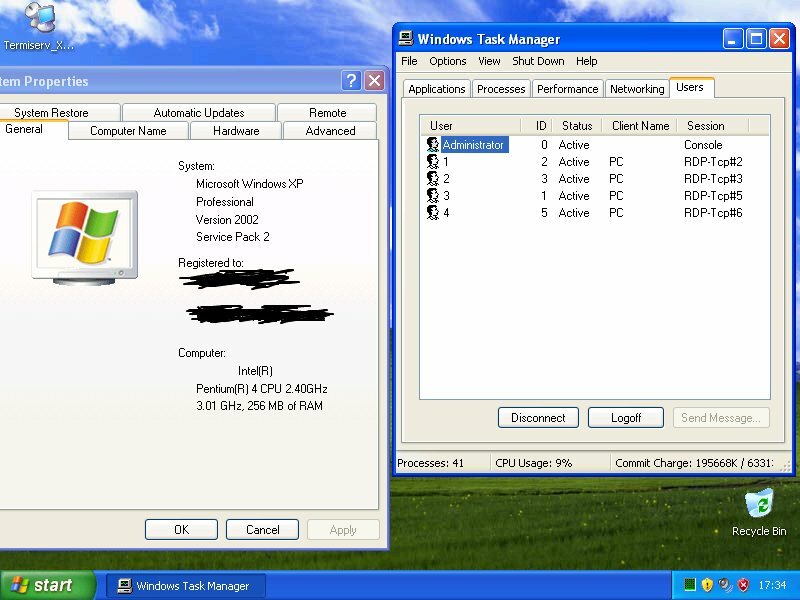 This patch will enable two or more concurrent sessions in Windows XP PRO Service Pack 2 (SP2) and Service Pack 3 (SP3) if you have FAST USER SWITCHING enabled, and your windows is NOT in a domain. 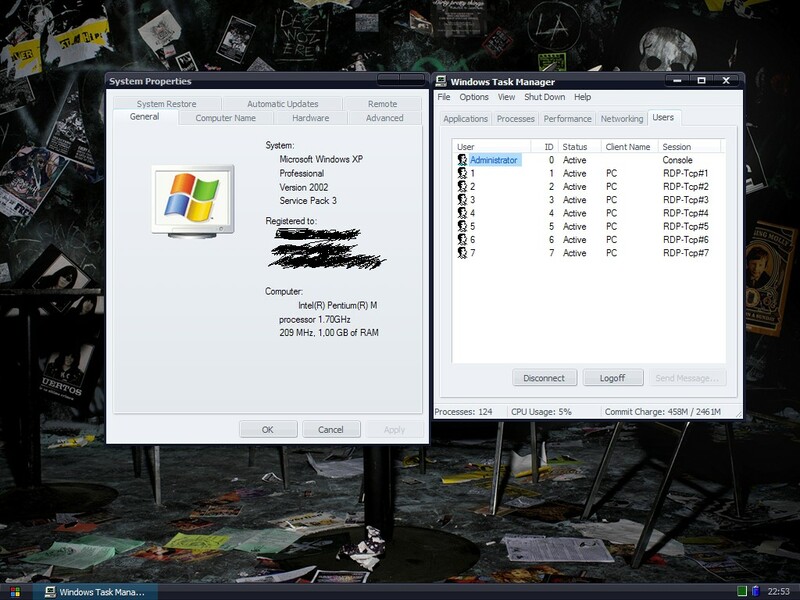 Uninstaller is also included and can be found at windows Control Panel -> Add or Remove Programs.